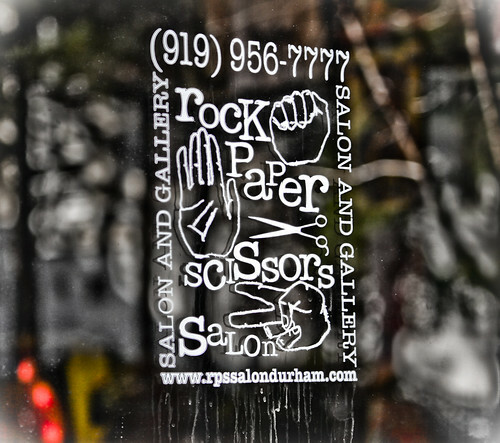 Rock Paper Scissors, originally uploaded by needlepointernc. I didn’t think that I was going to be able find a picture for the ROCK, PAPER, SCISSORS theme, but I did! 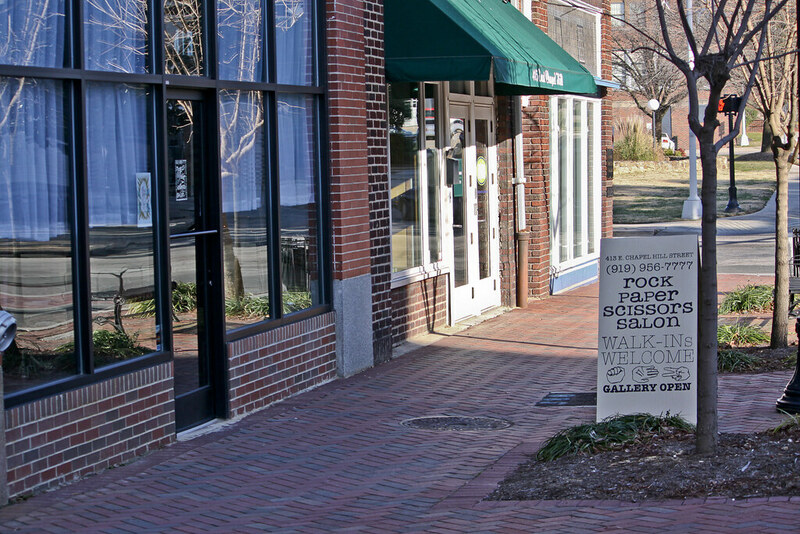 This is a new salon and art gallery in downtown Durham, NC. It is a funky looking place. Cool! Nice catch at the very end of the challenge.